Crimson Guard Commander Tomax is the fist character for this army, besides special characters. He is my Khorne Lord and leader of the Crimson Guard. 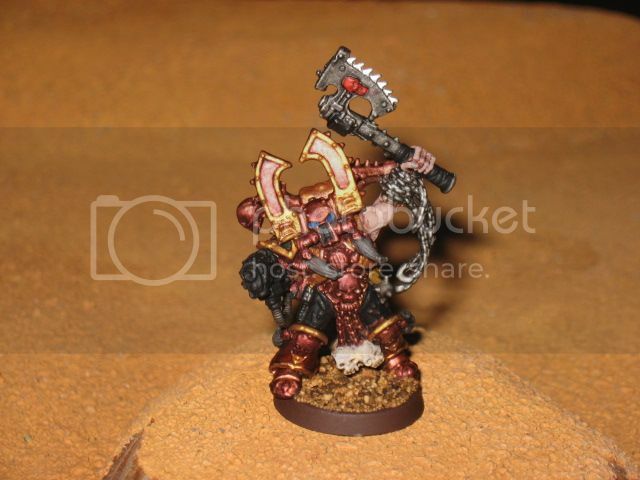 He leads from the front with his massive daemon weapon, leading the charge in the search for blood and skulls for Khorne! Crimson Guard: Kharn the Betrayer! This is the first model in a new Khorne army I am currently work on. The Crimson Guard is a new Warband I am building up for my chaos legions. A World Eaters warband made up of the followers of Khorne, so expect a lot of RED! I have changed the color of the army slightly from the traditional Red of the World Eaters with a bit of a metallic twist and some black to go with the power armor. How about starting off the rebuilding with a new completed Alpha Legion squad! The 1st of my troop squads is finally finished and ready for deployment. These new troops will boost the warband with fresh blood! 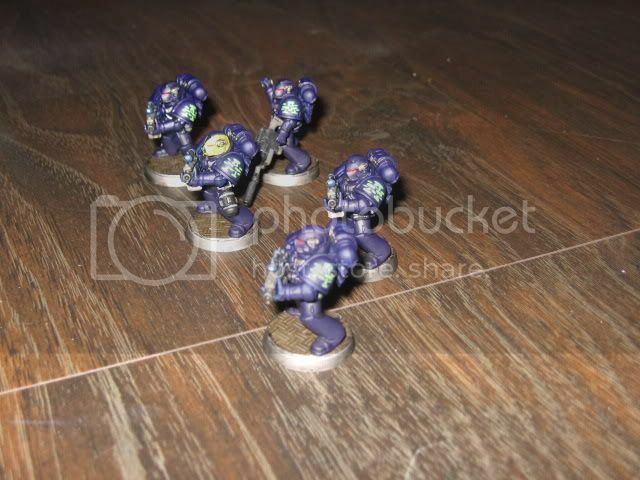 The squad is armed with melta special weapons, and is a basic chaos marine squad. The models are a mix of current models and bits. 1 down and 2 more squads to go! Returning once again with a new Alpha Legion unit that I did for a club group project. 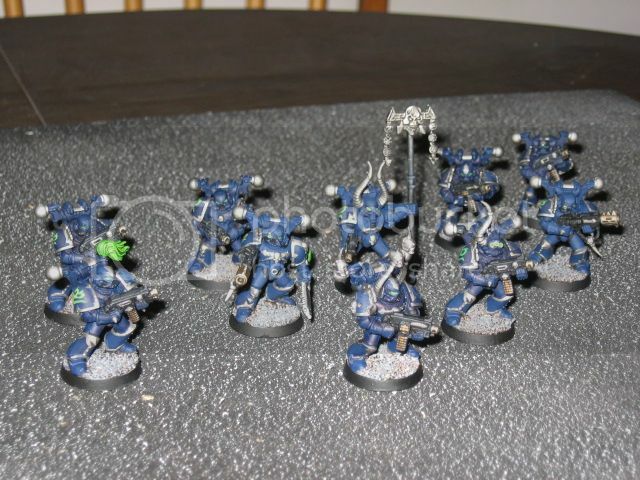 This time we reach back to the Days of Ole when the Alpha Legion was taking part in the Great Crusade, I have put together a 5 man combat squad team of legionaries in the old Alpha Legion colors and logo. Since it's great crusade I thought anything went so instead of the usual codex marine heavy or assault weapons, I gave the squad a sniper rifle as its special weapon. Also the entire squad is armed to the teeth for rear enemy line long range infiltration. The theme of the squad is very much infiltrating, head hunting and causing chaos in the enemy's rear echelon. It was a challenge to free hand the alpha logo since I had never done it before, but once it was finished the whole squad came together real well. 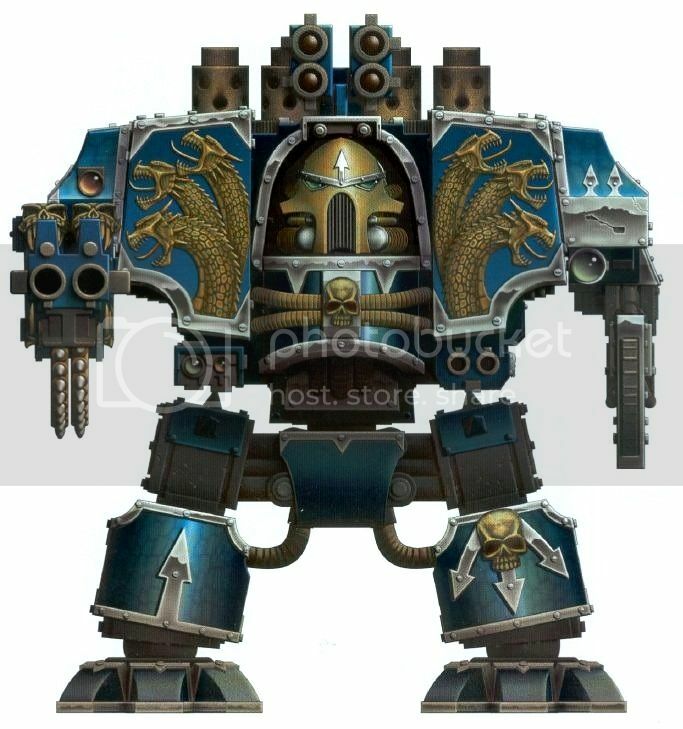 With the rumors of a new Chaos codex coming soon I might be returning to my Alpha roots sooner then later.....so be ready for the return of the Faithless! One of the first things that appealed to me about this new codex was the new addition of Jet Fighters. A long time realm of Forge World, it was a surprise to see a true aerospace fighter in an army codex finally. I was sold and when the model came out and saw how cool it looked I was fired up to start this army finally. I started in this hobby build plastic jet model kits and I always like a good fighter in a game, hence my appeal to Aeronautica Imperialis. 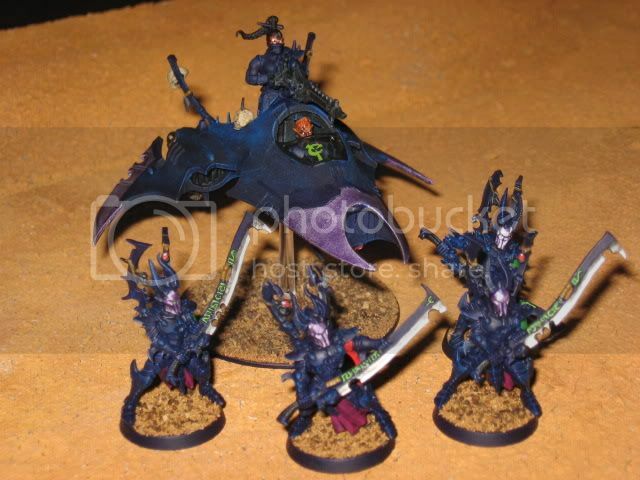 Now my Dark Eldar have some aerospace support to lead the speeder army into battle. This is only the wing man of the 2 fighter flight I plan on building for the army, the next one will be more detailed as they will be the flight leader. 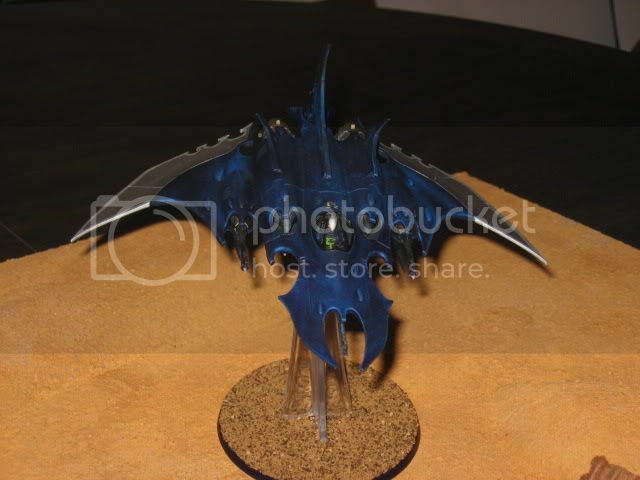 IG Painting Competitions on 40KOnline...Get Some! 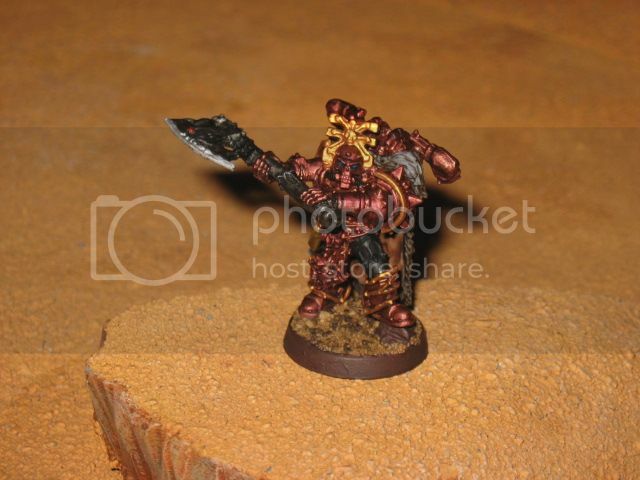 I'm a fan of the Warhammer 40K war game and have started two blogs about my hobby and the work I put into it. I spent the last few years building several armies up with different themes on all sides of the conflicts totaly painted and based. I enjoy the Painting and building aspect of this hobby, and since I have a fully painted army now I am involved in the Tournament scene also which is a lot of fun. I take many ideas from other sources and theme them into my creations.